Biography: Dr. Nejla Gultekin is a Consultant of Obstetrics and Gynecology, Mersin City Hospital, Turkey. She received her Ph.D. at Marmara University, Turkey, 2010. 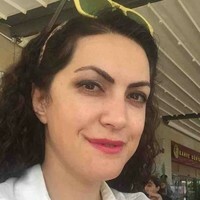 She worked at the Marmara University Hospital in Obstetrics and Gynecology Department between 2004 and 2010. She worked in the pathology department of Maimonides Medical Center, New York - USA for learning the pathologic criteria in any specimen by gross appearance and also by microscopic appearance. So that during operation She knows the best way of transportation of specimen and she can figure out the suspicious of cancer lesions or benign lesions properly. She worked in an anesthesiology department of Maimonides Medical Center in New York - USA to observe the act of anesthesia in normal vaginal delivery and cesarean section.